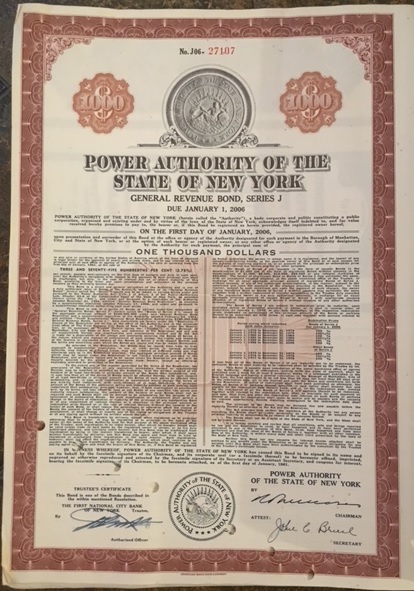 Power Authority of the State of New York, is the largest state public power organization in the United States. NYPA provides some of the lowest-cost electricity in the nation, operating 16 generating facilities and more than 1,400 circuit-miles of transmission lines. Its main administrative offices are in White Plains. 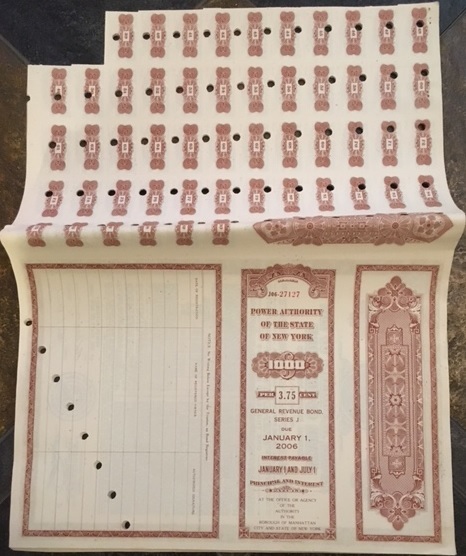 NYPA uses no state tax dollars and incurs no state debt, financing its projects principally through the sale of bonds. The bonds are repaid and the projects operated using revenues from operations. State and federal regulations determine NYPA’s customer base, which includes large and small businesses, not-for-profit organizations, public power systems and government agencies. NYPA also sells electricity to private utilities for resale (without profit) to their customers, and to neighboring states, under federal requirements. Approximately 70 percent of the electricity NYPA produces is clean renewable hydropower. Its lower-cost power production and electricity purchases support hundreds of thousands of jobs throughout New York State. NYPA operates three large hydroelectric complexes: the 2,441,000-kilowatt (kW) Niagara Power Project, on the Niagara River in Lewiston; the 800,000-kW St. Lawrence-Franklin D. Roosevelt Power Project, on the St. Lawrence River in Massena; and the 1,160,000-kW Blenheim-Gilboa Pumped Storage Power Projectin the Catskill Mountain towns of North Blenheim and Gilboa. 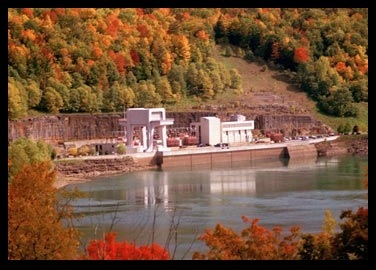 NYPA also has four small hydro facilities with a net capability of 10,000 kW: the Ashokan Project in Ulster County, the Crescent Plant in Albany and Saratoga counties, the Gregory B. Jarvis Plant in Oneida County and the Vischer Ferry Plant in Schenectady and Saratoga counties. Other generating facilities include two highly efficient natural gas-fueled power plants: the 135,000-kW Richard M. Flynn Power Plant, in Holtsville, Long Island and a 500,000-kW facility, in Astoria, Queens. Additionally, NYPA operates seven small, clean power plants also fueled by natural gas. Those units – six in New York City and one on Long Island – combine for 461,000 kW. The hub of NYPA’s statewide power transmission facilities is the Frederick R. Clark Energy Center, in Marcy. NYPA’s high-voltage transmission assets include a 765-kilovolt (kv) line that stretches more than 100 miles from the Canada–US border to the Clark Energy Center and almost 1,000 miles of 345-kv power lines that crisscross New York State, including the Marcy South line and a 26.3 mi (42.3 km) transmission project that follows an underground and underwater path from Westchester County to Long Island. Governor Roosevelt signed the Power Authority Act into law on April 27, 1931. The International Joint Commission granted its approval for a cross-border construction project in 1952. In 1953, the Federal Power Commission issued a license for NYPA to develop the U.S. portion of a power dam crossing the Canada–US border. 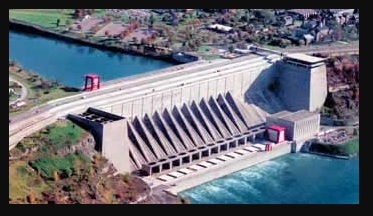 On May 13, 1954, President Dwight D. Eisenhower signed legislation that cleared the way for construction of both a hydroelectric facility and the St. Lawrence Seaway. First power was achieved in July 1958, and on June 27, 1959, Queen Elizabeth II and Vice President Richard M. Nixon formally dedicated the St. Lawrence Project as a symbol of international cooperation. 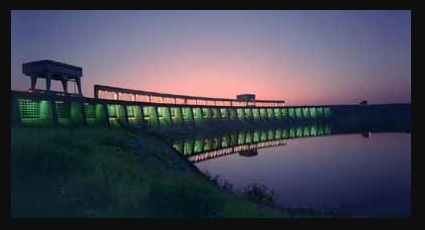 In 1981, NYPA’s half of the cross-border power dam was renamed the St. Lawrence-Franklin D. Roosevelt Power Project in honor of the man who founded the Power Authority half a century earlier. 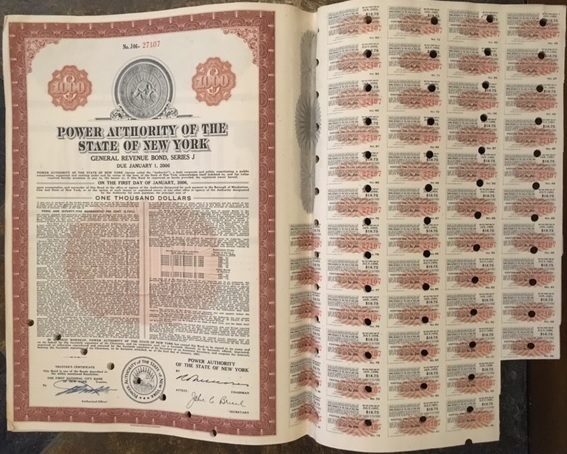 Legislation signed by Governor Nelson A. Rockefeller in 1968 allowed NYPA to expand its generation assets and build nuclear and pumped storage power projects. This led to construction of the Blenheim-Gilboa Pumped Storage Power Project, which produced electricity for the first time in July 1973, and the James A. FitzPatrick Nuclear Power Plant (named after a NYPA chairman), in Scriba, Oswego County, where power was first generated in February 1975.